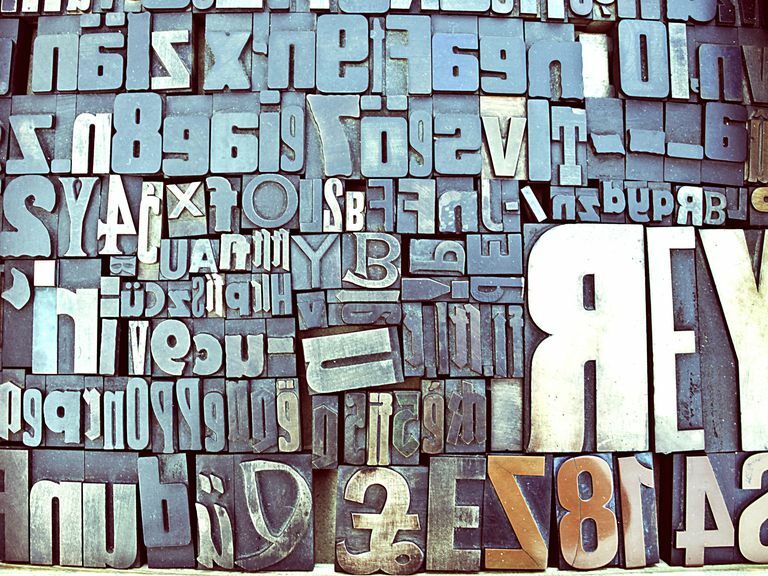 Graphemics is a branch of linguistics that studies writing and print as systems of signs. Graphemics deals with the customary ways we transcribe spoken language. The basic components of a writing system are called graphemes (by analogy to phonemes in phonology). Graphemics is also known as graphology, though it shouldn't be confused with the study of handwriting as a means of analyzing character.
" Graphemics, first recorded in 1951, by analogy to phonemics (Pulgram 1951: 19; see also Stockwell and Barritt on the relational view of graphemics) is another synonym of orthography. It is defined in the OED as 'the study of systems of written symbols (letters, etc.) in their relation to spoken languages.' However, some linguists have suggested that 'the term graphemics should be confined to the study of systems of writing only' (Bazell 1981 : 68), as well as postulated the introduction of the term graphophonemics for '[t]he discipline concerned with the study of the relationship between graphemics and phonemics' (Ruszkiewicz 1976: 49)." - " Graphology is the study of the writing system of a language--the orthographic conventions that have been devised to turn speech into writing, using any available technology (e.g. pen and ink, typewriter, printing press, electronic screen). For Modern English, the core of the system is the alphabet of 26 letters, in its lower case (a, b, c...) and upper case (A, B, C...) forms, along with rules of spelling and capitalization which govern the way these letters are combined to make words. The system also includes the set of punctuation marks and the conventions of text positioning (such as headlines and indents), which are used to organize text by identifying sentences, paragraphs, and other written units." - "The term graphology will be used here in its broadest sense to refer to the visual medium of language. It describes the general resources of language's written system, including punctuation, spelling, typography, alphabet and paragraph structure, but it can also be extended to incorporate any significant pictorial and iconic devices which supplement this system. "In their explanations of graphology, linguists often find it useful to draw parallels between this system and the system of spoken language... The study of the meaning potential of clusters of sounds is referred to as phonology. By the same principle, the study of the meaning potential of written characters will be enveloped by our term graphology, while the basic graphological units themselves are referred to as graphemes." "The only linguist ever to have given any serious thought to the role played by typography in a graphic text is Eric Hamp. In a fascinating article, 'Graphemics and Paragraphemics,' published in Studies in Linguistics in 1959, he suggests that graphemics is to paragraphemics (the term is his own invention) as linguistics is to paralinguistics. Most of the written message is carried by the letters and punctuation symbols. the subject matter of graphemics, just as most of the spoken message is carried by the segmental and suprasegmental phonemes, the subject matter of phonology, a branch of linguistics. Most--but not all. Linguistics does not cover speed of utterance, voice quality, or those noises we make that are not part of the phonemic inventory; these are left to paralinguistics. Similarly, graphemics cannot handle typography and layout; these are the province of paragraphemics. "Nothing ever came of these ideas. The new science never really got off the ground, and Hamp's neologism suffered the fate of most neologisms: it was never heard again. It was a groundbreaking article--but no one was interested in following the trail." (Edward A. Levenston, The Stuff of Literature: Physical Aspects of Texts and Their Relation to Literary Meaning. State University of New York Press, 1992). What Is Langue in Linguistics? What Is (or Was) Classical Rhetoric?